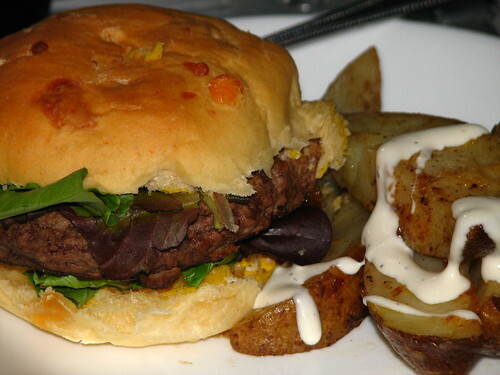 This recipe from allrecipes.com makes delicious hamburger buns. Heat the buttermilk to 110-115*F. This won’t take long in the microwave, maybe 60-90 seconds, depending on your microwave. Add the yeast, sugar, salt and flour and mix well. Knead by hand or with a mixer and a bread hook for four minutes. Add the 3/4 c. cheese and knead for two more minutes. 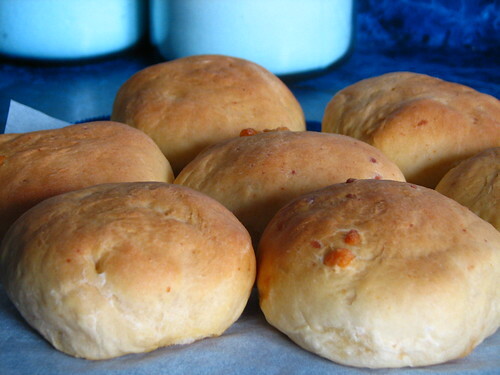 If the cheese is at room temperature, it will be smoothly kneaded into the dough. Allow to rise for 45-60 minutes until doubled in size. Punch down and knead in the remaining 1/4 cup of shredded cheese. Knead just enough to incorporate all the cheese. This will leave some nice chunks of cheese in the dough. 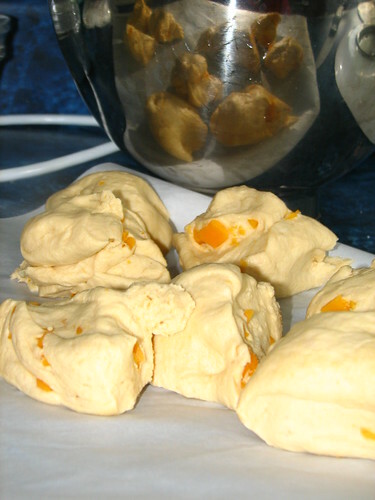 Cut the dough into twelve equal pieces. Shape into twelve flattened rolls and place on a greased cookie sheet (or line the cookie sheet with parchment paper). Allow to rise 45 minutes, until doubled in size. Bake at 350*F for 15-20 minutes, until browned. This entry was written by ~~Rhonda, posted on July 14, 2010 at 3:45 pm, filed under cooking, Recipes. Bookmark the permalink. Follow any comments here with the RSS feed for this post. Post a comment or leave a trackback: Trackback URL. Those look soo good!Bet they would be great for sloppy joes!